"We could cloak only the atmospheric signatures associated with biological activity, such as oxygen, which is achievable with a peak laser power of just 160 kW per transit. To another civilization, this should make the Earth appear as if life never took hold on our world", say astronomers at Columbia University. Two astronomers at Columbia University in New York have now suggest humanity could use lasers to conceal the Earth from searches by advanced extraterrestrial civilisations. Professor David Kipping and graduate student Alex Teachey make the proposal in a paper in Monthly Notices of the Royal Astronomical Society. These events – transits – are the main way that the Kepler mission and similar projects search for planets around other stars. So far Kepler alone has confirmed more than 1,000 planets using this technique, with tens of these worlds similar in size to the Earth. 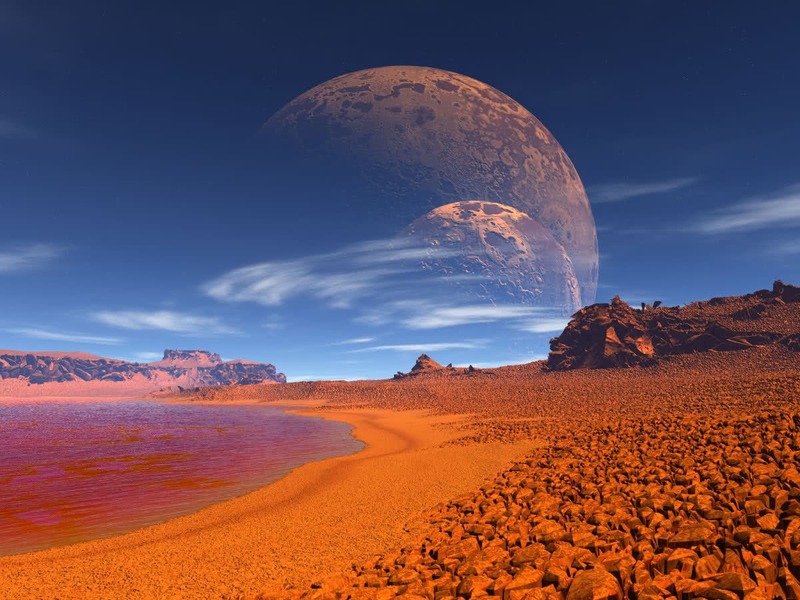 Kipping and Teachey speculate that alien scientists may use this approach to locate our planet, which will be clearly in the 'habitable zone' of the Sun, where the temperature is right for liquid water, and so be a promising place for life. 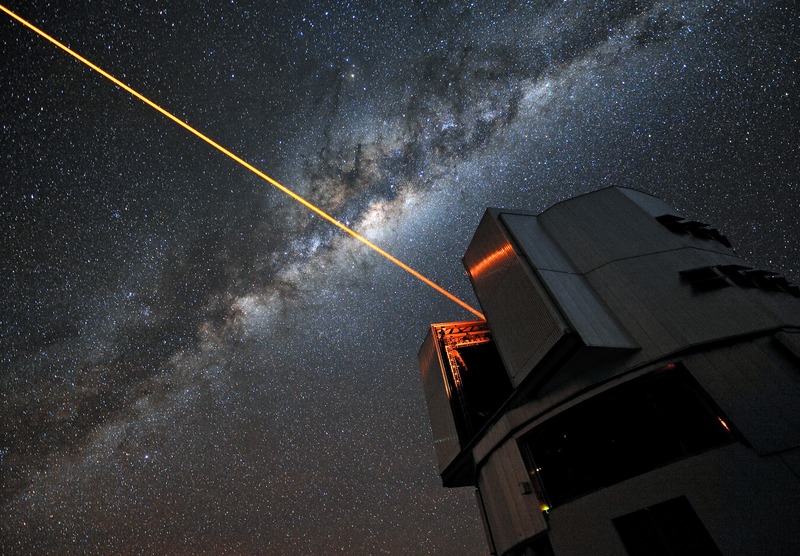 The image above shows a 22W laser used for adaptive optics on the Very Large Telescope in Chile. A suite of similar lasers could be used to alter the shape of a planet's transit for the purpose of broadcasting or cloaking the planet. (ESO / G. Hüdepohl). "There is an ongoing debate as to whether we should advertise ourselves or hide from advanced civilisations potentially living on planets elsewhere in the Galaxy," says Kipping. "Our work offers humanity a choice, at least for transit events, and we should think about what we want to do."